Featuring five shaving modes and clever Sonic technology, the Braun Series 7 7865CC Men's Shaver reads and adapts to your beard, giving you more power when you need it and catching more hair with each stroke, so you can enjoy a close, comfortable shave with ease. 4 synchronized shaving elements shave in one stroke what others do in two*. An innovative Sonic technology helps capturing even hard to catch hair with 10'000 microvibrations. 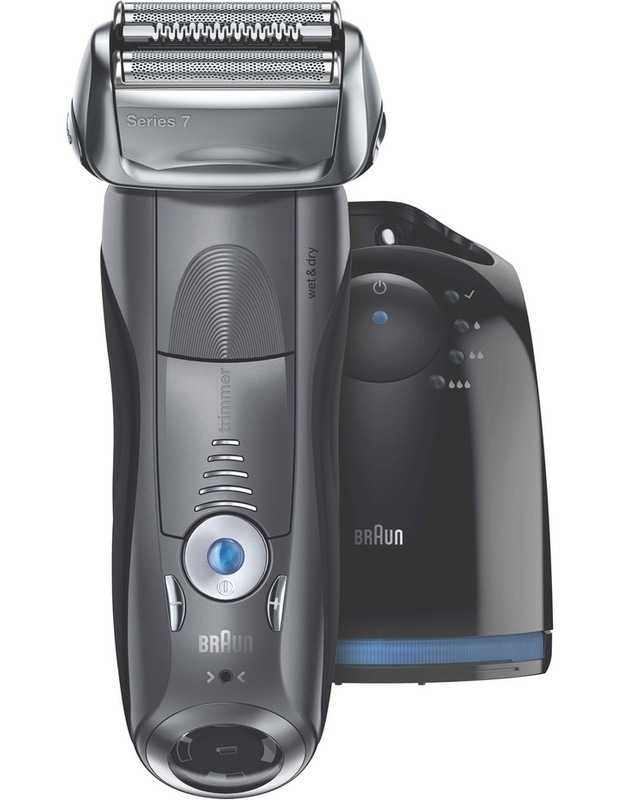 The intelligent Autosensing motor enables to shave even dense beards with ideal efficiently. 5 Turbo-/Sensitive-Modes adjust the shaver for extra power or gentleness at a push of a button. * Proven on a 3 day beard. IPI research institute, February 2015.